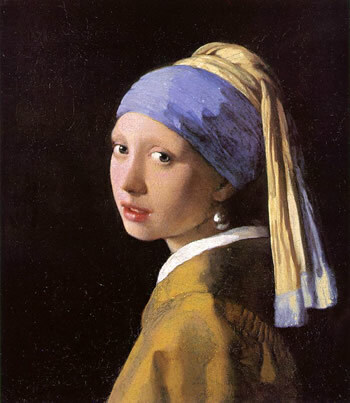 Jan Vermeer's "Het meisje met de parel"
though I have no special prerogative to do so. yet my eyes insist on robbing what’s left of your innocence. as though it were the only mouth in creation. I am broken by the miracle of conception. neither religion or social standing can keep us apart. like no other two beings on earth. and I am as far beyond sin as is possible. than any plots of our making. flare up and are lost in an instant. once there was a past and then there is nothing. Griet, I have undressed you once again. What for? For art’s sake, always for art’s sake.